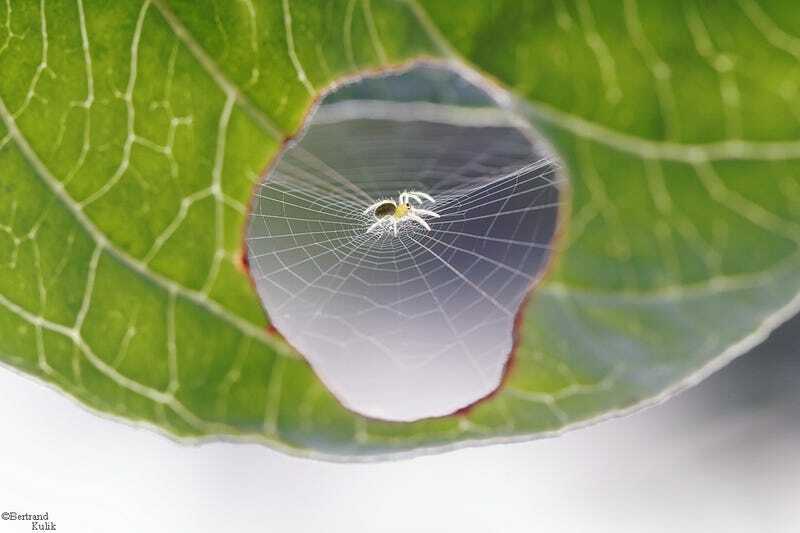 Paris-based photographer Bertrand Kulik captured these whimsical images of a spider whose web looks like it's holding together a perforated leaf. Photos featured by kind permission of Bertrand Kulik. This spider may not be "terrifyingly brilliant," but it's certainly incidentally photogenic.